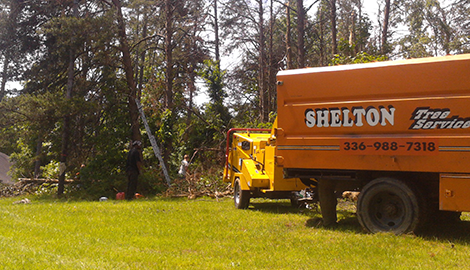 With the experts at Shelton Tree Service, you can have your unwanted trees and shrubs removed in no time! If you are in need of expert lawn service that keeps your yard in shape on a regular basis, our professionals are happy to be there for you. Set up an appointment with us! Order your own cord of wood now! We are now using an 85ft crane with bucket attachment to better service our clients! WE'RE INSURED FOR $2 MILLION! Your trees are a great percentage of your property's value. Hire professionals to care for them. Your trees are a great percentage of your property's value, so it makes sense to hire professionals to care for them. 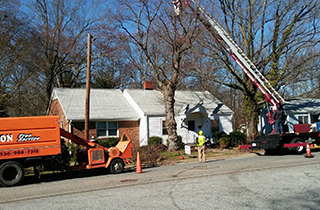 If you have unseemly trees or other plants that are really making your property stick out like a sore thumb, the experts at Shelton Tree Service in Greensboro, NC are here to help you! When you choose our landscaping services over the competition, you will see the difference. Our work is timely and professional, and we cannot wait to get to know you! 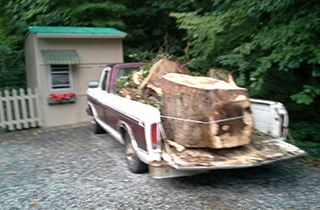 Any homeowner knows the feeling of having an unwanted tree or shrub on their property, and the team here at Shelton Tree Service is no different. Everyone at some point has made a decision that they wish they could fix, and we are just the people to do it for you. As soon as we receive your call, we will be at your home, ready to relieve you of your burden. Is your lawn so wild that it is turning into a jungle? Do you wish you could do something about it, if only there were enough hours in the day? 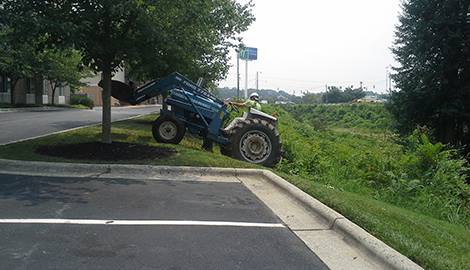 Luckily, the Shelton Tree Service professionals can take care of your lawn for you! We offer lawn maintenance so you can have time to focus on the more important things. Finally, we are proud to offer firewood to our customers, and we are excited for the opportunity to provide it to you. 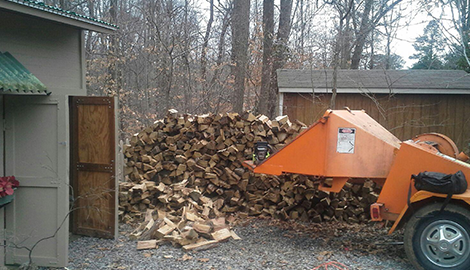 Firewood is an essential tool for heating many homes to this day, and as tree service specialists, it is simply our duty to bring our job full circle to your living room. 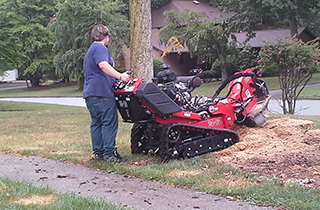 If you are a homeowner looking for overall lawn care and tree services, you have come to the right place. To find out more, give us a call today! Now Serving Brown Summit & Summerfield, NC!